|宮崎 駿|Miyazaki Hayao|born January 5, 1941}} is a Japanese animator, filmmaker, screenwriter, cartoonist, author, and manga artist. A co-founder of Studio Ghibli, a film and animation studio, he has attained international acclaim as a masterful storyteller and as a maker of anime feature films, and is widely regarded as one of the greatest animation filmmakers. Born in Bunkyō Ward of Tokyo, Miyazaki expressed interest in manga and animation from an early age, and he joined Toei Animation in 1963. During his early years at Toei Animation he worked as an in-between artist and later collaborated with director Isao Takahata. Notable films to which Miyazaki contributed at Toei include ''Doggie March'' and ''Gulliver's Travels Beyond the Moon''. He provided key animation to other films at Toei, such as ''Puss in Boots'' and ''Animal Treasure Island'', before moving to A-Pro in 1971, where he co-directed ''Lupin the Third Part I'' alongside Takahata. After moving to Zuiyō Eizō (later known as Nippon Animation) in 1973, Miyazaki worked as an animator on ''World Masterpiece Theater'', and directed the television series ''Future Boy Conan''. He joined Telecom Animation Film/Tokyo Movie Shinsha in 1979 to direct his first feature films, ''The Castle of Cagliostro'' in 1979 and ''Nausicaä of the Valley of the Wind'' in 1984, as well as the television series ''Sherlock Hound''. Miyazaki co-founded Studio Ghibli in 1985. He directed multiple films with Ghibli, including ''Castle in the Sky'' in 1986, ''My Neighbor Totoro'' in 1988, ''Kiki's Delivery Service'' in 1989, and ''Porco Rosso'' in 1992. The films were met with commercial and critical success in Japan. Miyazaki's film ''Princess Mononoke'' was the first animated film to win the Japan Academy Prize for Picture of the Year, and briefly became the highest-grossing film in Japan following its release in 1997;}} its distribution to the Western world greatly increased Ghibli's popularity and influence outside Japan. His 2001 film ''Spirited Away'' became the highest-grossing film in Japanese history, winning the Academy Award for Best Animated Feature at the 75th Academy Awards and considered among the greatest films of the decade. Miyazaki's later films—''Howl's Moving Castle'', ''Ponyo'', and ''The Wind Rises''—also enjoyed critical and commercial success. 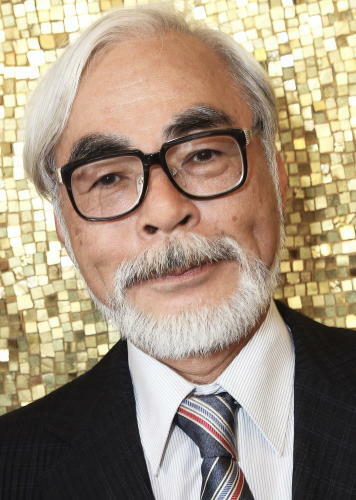 Following the release of ''The Wind Rises'', Miyazaki announced his retirement from feature films, though he returned to work on a new feature film in 2016.